We all love our dogs and we hate to see them feeling ill and in pain. We want them to play and and have fun, and have the energy to enjoy their lives. Basically, we want them to be healthy and happy! But, our dear pets are constantly exposed to things that can compromise their health. They are exposed to viruses, bacteria and parasites in vet offices, training buildings, on the streets, in dog parks and even open parks and fields. Whether you live in the city or the country, bacteria and parasites are difficult to avoid. The key to a healthy dog is not to keep him locked up at home, but to keep his immune system in top shape so he can quickly and effectively fight disease when it strikes. Follow these simple steps and boost your dog’s immune system. We all know how important proper hygiene is for our health. This applies to dogs too. Of course, dogs’ bodies have a different way of dealing with unclean things – after all, they sniff and lick pretty much everything. However, this doesn’t mean that a dog should not be clean. Keeping proper hygiene is the number one factor in boosting a dog’s immune system. Each day, your dog’s immune system has to deal with dirt and bacteria. Of course, some bacteria and parasites will actually help strengthen your dog’s immune system, but there should be a reasonable balance. Washing your dog regularly will cut down the number of bacteria, leaving more immune reserves for more important battles. However, bear in mind that “regularly” doesn’t mean “constantly” – if your dog is too clean, the immune system may get weaker. If you don’t know how much cleaning your dog needs, it’s a good idea to contact your vet for advice. The higher a dog’s weight is over his ideal weight, the more his immune system will struggle. Talk to your vet about your dog’s ideal weight and how many calories he should consume each day, and try to stick to this weight. Portion control is the main way to monitor food intake, and it’s easy for you to do. A diet full of nutrients is essential to maintaining your dog’s immune system. Especially antioxidants play a major role in maintaining your pet’s health. Antioxidants are vitamins and minerals in foods that counteract free radicals and stop their damage to cells. Antioxidants are easily available in many common foods such as berries, fruits, and vegetables. Some dog foods contain antioxidants, although they are not usually present in high enough quantities to make a big difference to your dog’s health. in that case, you can give your dog antioxidant supplements in the form of tablets. Dried beans such as kidney, pinto, and red beans have more antioxidants per ½ cup than fresh berries. If you want to supplement your dog’s food, feeding a small portion of these foods is better than buying expensive, trendy foods. But please note that small amount every once in a while will do the trick – don’t overdo it! Dogs sniff and lick pretty much anything outside of the house, and the run back in to play with their “personal belongings”. 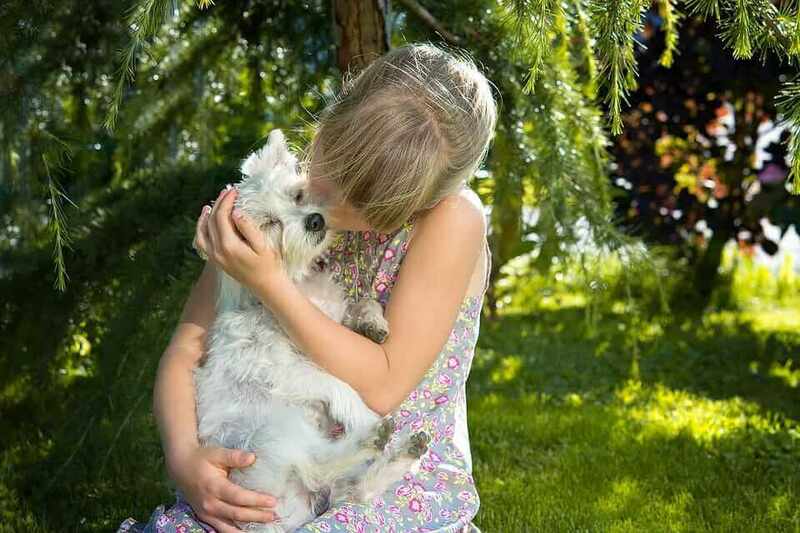 Germs from your dog’s mouth will, therefore, be transmitted to whatever he touches. Washing toys and bowls reduces the daily load of bacteria that the immune system has to deal with. Daily washing of these items with warm water (avoid dish soap because it could be toxic) is important for your dog’s health – a quick rinse usually does the trick. Also, be sure to thoroughly dry toys and bowls after washing, as leftover moisture is an excellent breeding ground for bacteria. Many dog owners are unaware of the fact that dogs are susceptible to stress. But stress is actually a real problem for dogs and humans alike. Stress can can inhibit the immune system and reduce the body’s ability to ward off disease. Avoiding stressful situations and environments is one of the keys to keeping your dog in good health. So if you want to boost your dog’s immune system, give him/her plenty of exercise and try to follow a routine schedule of mealtimes, nap times, and play times. And last but not least, eliminate negative interactions with other pets and humans. Your vet is your best resource on how to boost your dog’s immune system. Of course we take our four-legged friends to the vet when they’re sick or injured but those appointments tend to focus mainly on one particular issue. ‘Check up’ visits, on the other hand, are more holistic, giving your vet the opportunity to check your dog’s immune system and to detect changes in your pet’s overall physical health. At your vet you can also get vaccines and other kinds of protection that assure your dog doesn’t get sick.